This month’s Q&A is with Ellen McLaughlin, the playwright who translated Pericles for the Play on! project. 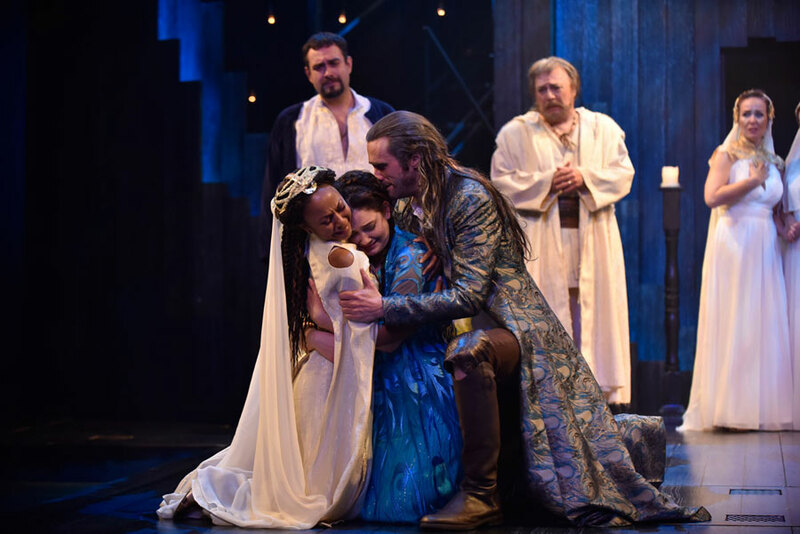 Her translation was then transformed into a script used by the Orlando Shakespeare Theater in its 2016 production The Adventures of Pericles. What were your first impressions of the Shakespeare play you translated? Photo by Tony Firriolo features the cast of The Adventures of Pericles, directed by Jim Helsinger. Orlando Shakespeare Theater, 2016. Can you describe your process for translating Pericles? The term “translation,” which has raised several eyebrows, not to say fists, just means that the PlayOn writers are tasked with trying to find some personal and stylistic equivalent to Shakespeare’s rigor of language and his metaphorical density. 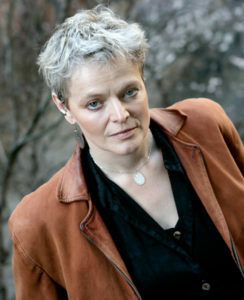 The plays generated are thought of as translations rather than adaptations because the writers aren’t taking liberties. This isn’t about creating another West Side Story. As I understood the project, we render every line of Shakespeare’s text, matching his scansion fairly closely, and when he rhymes, we rhyme. The attitude is “First, do no harm.” Much of the language is crystal clear and can be left as it is exactly. If we do touch the language, we seek only to illuminate, untangle syntax that trips modern listeners up, and find images that we can understand quickly but that have some of the same heightened scale and ambition. We are trying to honor the power of the language by clearing the static from the lines. But it’s still got to be poetry. We can’t flatten it out. In other words, if the play is difficult, it will still be difficult, but not because the language is impossible for us to grasp. What I got to do was what my husband Rinde Eckert does every night when he plays the Goldberg Variations on the piano. He says he does it not just because the music is so sublime, but because playing it allows him to put his hands in the same position that Bach put his hands in. It’s one thing to study Shakespeare’s plays as a scholar and someone who appreciates the work; it’s an entirely different thing to have the chance to look at what he was doing, while working the same coal-face within the mine. After the harrowing shipwreck, and his wife Thaisa’s apparent death while giving birth to Marina, Pericles is urged by the superstitious sailors to get his wife’s corpse off the ship as a way of appeasing the raging storm. He packs the body into a watertight casket and casts it out onto the water after a wrenching speech to the woman he has lost. What did you learn about Pericles through the translation process? Do you see it differently now? Pericles is produced far less frequently than other plays in the canon and considered something of a problem play. That’s not surprising, since most of the first three acts of the five-act play are generally accepted to have been written by another, considerably less masterful writer. So initially I felt distinctly less intimidated by it than I might have been if I’d been given the commission of taking on one of the more revered texts in the canon. But once I got inside it, I was humbled and moved by it, even beyond what I had anticipated. 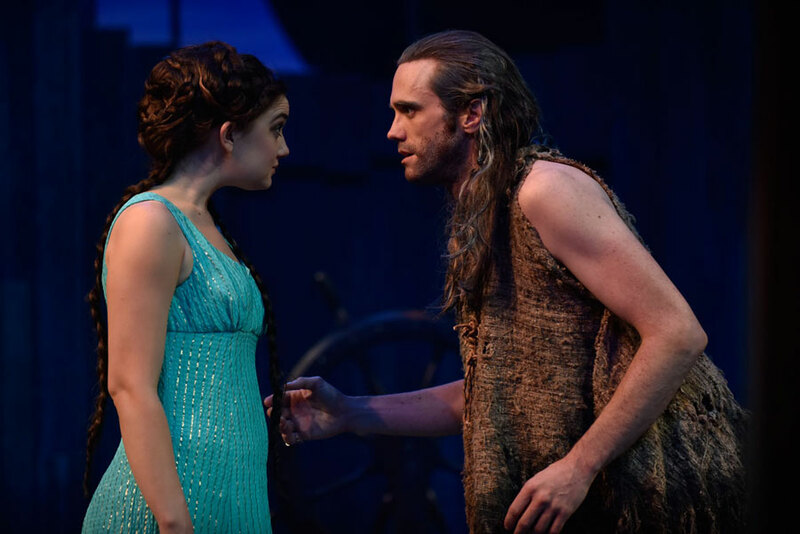 Once I came to it, the power of the final recognition scenes hit me the hardest, particularly the scene that Shakespeare seems to have built the play to hold: the recognition scene between Marina and Pericles when Pericles encounters the strange and unflappable girl neither knows is his own daughter. This is Shakespeare at his most sublime, and it was a lovely challenge to meet him in the beauty of his language and try to do right by him. Photo by Tony Firriolo features Gracie Winchester and John P. Keller. 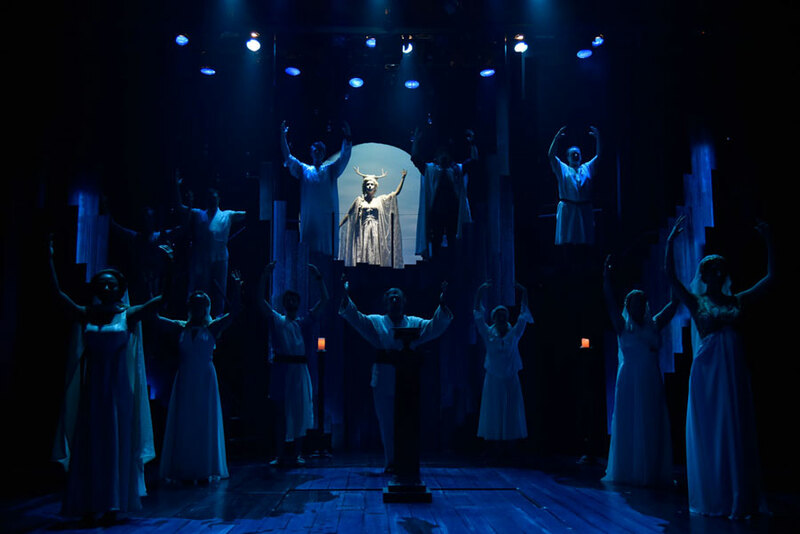 The Adventures of Pericles, 2016, Orlando Shakespeare Theater. I am a man of sorrows and may weep. My daughter might have been just like her too. My queen’s square brows. Her stature to an inch. Her eyes set just as my queen’s were, like jewels. Of course, it turns out that she looks like his wife because she is his wife’s daughter. The truth is just as strange as it appears. She is mortal, not a goddess; she is not dead, she is returned to him. It is when reality, implausible as it seems to be, matches your wildest dreams that wonder walks into the room. Pericles’ whole life leads up to this moment of piercing joy, and it is the end point of all his trials. It seemed to me that if the only thing the Play on! project had given me was the chance to live inside that scene for a while, it would have been worth it for me. It was time spent in the thrall of a beautiful truth, and I’m grateful for it. Photo by Tony Firriolo features Dameka Hayes, Gracie Winchester, and John P. Keller. The Adventures of Pericles, 2016, Orlando Shakespeare Theater.